Product Development for Craft Artists -- NEW ! 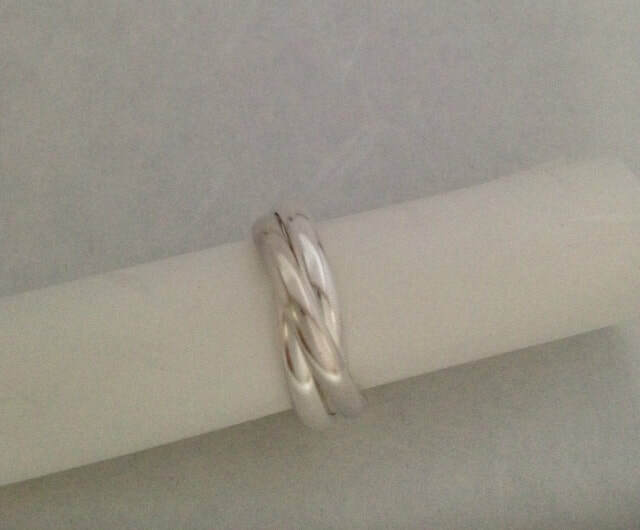 Why not come along to our studio and make your very own sterling silver rolling ring! You will be shown all the skills you will need to make your rings, including shaping, soldering, and finishing. The instructor will closely guide and supervise all stages of the process. Our class sizes are small to optimize your studio and learning experience! You can register for this class by filling out the form below and choosing your payment method. *PayPal -- Once you register for the class, we will email you a PayPal payment request. Make secure payments online using VISA, or Master Card without a PayPal account! Got to spend a little more time with my son's ring after returning home. I just wanted to say what a wonderful job you did! I think you've not only captured the spirit of the piece but also added your own brilliance. I love the ring even more now. Saturday's PMC boot camp with Shannon was fantastic. I'm filled with inspiration and ideas and can't wait to purchase PMC and tools and take more workshops.